With the Costa Rica International Film Festival's fifth edition, several promising young filmmakers are being showcased. Here's how they see their careers. Costa Rica may not be known as a haven for filmmaking talent, but with the development of its film commission and the Costa Rica International Film Festival, that’s starting to change. 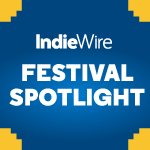 The latest edition of the festival showcases a number of promising young directors from the region — some born there, others who came later — throughout the lineup. Here’s a look at a few of them in their own words. Latest Project: “Filip” (National Short Film Competition) is about a seven-year old boy who admires his older brother Sebastian most of all. One evening, Filip sees something unexpected happen between Sebastian and Sebastian’s best friend. He doesn’t know how to handle it. Filip questions his admiration for his older brother when he discovers that he is homosexual. But even living in a society where the word “gay” is used as an insult in the playground at school, Filip comes to realize that his brother is still the same person. Inspiration: I did theater since I was a kid growing up in Costa Rica. I was especially passionate about physical theater and the interpretation of physical behavior. This interest, together with an ethnographic film that I was watching during an anthropology course at Stockholm University, made me go into writing and directing short films. Education: I wish I could say I made a lot films as a kid, but the only thing I remember filming back then was staged bloopers. After I finished high school in Costa Rica, I moved to Sweden; after the anthropology course, I did some courses in media and then studied in a great small hands-on school called Fridhems Folkhögskola. Then I went back to theater and got a BFA in mime acting at the Stockholm Academy of Dramatic Arts, which I believe was my best training for working with actors, now that I make films. Later on, I studied screenwriting for a year at Alma Manusförfattare, still in Sweden. Then after working for a year touring with a children’s theater company, I moved to New York to do an MFA in film directing and screenwriting. I’ve been there for a year and a half and, yes, I’m probably addicted to studying. Latin American Influence: I am Latin American — half Costa Rican, half Uruguayan — even if I’ve been abroad for so long. I do believe that, with the right amount of research and humility, everyone can tell stories about anything anywhere because on some level we all can identify with everything, but at the moment I’m very focused on telling stories that are closer to my core and my childhood growing up in Latin America, with all it’s magic and problems. I’m currently developing my first feature “Clara Sola,” which is a co-production between Swedish production company HobAb and Colombian companies Ciudad Lunar and Blond Indian. “Clara Sola” will be entirely shot in Colombia. The story will be set in a fictional mountain village soon to be relocated because a mining company is establishing in the area, something that sadly is really happening in Latin America and other parts of the world. In this small village lives Clara, a quiet and shy woman who has a difficult time communicating with people, while being considered the village’s saint. We will follow Clara as she discovers her sexuality for the first time when she meets her sister’s boyfriend Santiago. With an undertone of magical realism, “Clara Sola” is a coming-of-age story of a woman and her journey to break free from social and religious oppression. Top Goals: Two things: The first is just telling stories that in some way move people and make them think. I don’t pretend to educate anyone in the sense that I want people to embrace my point of view. I just think that making them feel something, anything, might make them think differently, open up to new possibilities and consider or understand new perspectives. The second thing is teaching. I’ve had so many amazing teachers along my life and I would love to pass on things that I’ve learned so others can discover that they have stories to tell too. I would especially love to focus on groups of girls and other minorities in media, so what we see on the screen, in fiction, documentary or any other form, is representative of the wonderfully diverse world that we have. We need to encourage and celebrate that, especially in politically dark times like these. Latest Project: In “El calor después de la lluvia” (Special Presentations), a woman tries to reconnect with her life after a chance encounter with an old ex-boyfriend whom she had a traumatic experience with. Inspiration: As a teenager in Chile, I read a lot of art history books and I was particularly fond of photography. So one day I stumbled upon a really bad TV documentary on Robert Capa and loved the idea of making images, but photography wasn’t enough. So I went to a newly opened film school in Costa Rica. Before that, I wasn’t really that much into film. It’s been a love/hate relationship ever since. Education: Technically in film school, but mostly through seeing and reading about films by myself. What changed views about films for good was a workshop that Cinergia and Fundacine organized called Cine Hecho a Mano, where five directors came and talked about their first self-financed small intimate films. It was so different from what film school taught that I loved it. Normally, people said that making a film was too expensive and you should have a lot of people working on set and everything thought out. This lot just came and said, “The hell with that.” Whether you have really small or no crews at all, find the film as you go and have a very close relationship to everyone. That just seemed more human and logical to me. After film school, I went to a creative documentary master degree in Barcelona and it opened my eyes to a whole range of filmmakers I never knew — Jonas Mekas, Alan Berliner, Ross McElwee, James Benning. I also learned a lot from my master’s thesis group, Rosario González, Marina Herrera, Laura Rodríguez — and our great tutors, Jorge Caballero and Virginia García del Pino. We made a web-doc called VOSE that premiered in IDFA DocLab. Top Goals: Be honest with myself about what I do and how I do it. Always learn, from the set itself, from other around you. Have fun. A set is full of raw emotions, from actors and crew, so you have to honor them by making the shoot a place where everyone feels safe to be whatever they want to be so that everyone learns from each other. Continue making films as friends for others to see. Latin American Influence: It’s vital. That’s where I’m from and our stories and history need to be told and remembered. Our region is full of selective amnesia so even a small very intimate and personal film becomes an act of resistance. Latest Project: “Nothing and No One” is my thesis of the school EICTV, which is an essay about memory. The film I made before that is called “The Tree” (“El Arbol,” National Short Film Competition), which refers to uprooting and migration. Inspiration: When I was about 11 years old, my brother Foad used to take some classes on photography and screenwriting in a film school in Iran. Years after, I lost my brother in an incident, and 10 years after that decided to make a short film in his honor called “Playing with Sand,” from a script he had written. And that’s how everything started. Education: After making my first short film in 2010, I decided to apply for Documentary Filmmaking in EICTV in Cuba. Goals: Making films that come from here, and hopefully touch hearts. I feel very driven toward essay documentaries or cinematic collages; with an invisible ties, we can start connecting stories and transmitting emotions. Latest Project: “Selva” (National Short Film Competition). See trailer below. Inspiration: As a child, I imagined commercials all the time. Luckily, I didn’t dedicate myself to advertising! At 13, I saw a movie that had a big influence on me. Then, at 18, I traveled to Buenos Aires and without realizing I was already studying film. It was a pretty irrational — but successful — impulse. Education: I started my career at the Image and Sound Designer program at the University of Buenos Aires in Argentina. I learned the theoretical and conceptual bases for filmmaking while I was there, but I believe that filmmaking is an exercise that is constantly being learned, in an experiential and practical way. Production and fieldwork teach me more than anything. Goals: I hope to make films that don’t take so long to take place. The long process of getting financing often erodes creativity, and I would like to be able to make movies more organically to the creative need of the moment. Today, I feel the need to make films that come out of a traditional logical narrative, and that immerse the viewer in a unique universe where history is not only built through conflict or speech, but also from physical expression, treating the locations as characters and the atmosphere. I have a built a team that has worked together for seven years, now as a production company called MigraCine. Taking care of your team and growing together is a great achievement. Latin American Influence: I believe that cinema is a lively and fundamental means of expression in any part of the world. It is important to start getting out of the box of what Latin American cinema is. It is important to begin making films between different nationalities. The process becomes more rich, professional and human. This has been my experience in the last seven years, sharing my career with filmmakers from many parts of the world.